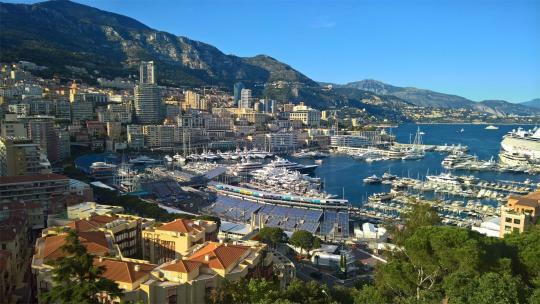 The Monaco Grand Prix is the most exclusive race on the Formula One calendar. Since 1929 racers have wound their way through the tiny principality for the super-rich, on a track that takes over the streets for one weekend in May each year (for 2018, it will be 26-27 May). The Circuit de Monaco starts to come to life in April, which is a less hectic time to visit for those who wish to explore the Prince’s Palace or Princess Grace rose garden in peace. The roads are in almost normal use until the very final days before the Grand Prix, when the starting grid is painted straight on, hundreds of grandstand seats are erected along the race route and chevrons are melted onto the pavements. There are a limited number of ways to partake in the revelry of race weekend itself, however. You could buy scarce grandstand tickets from £73 or up to £2,583 for a terrace overlooking the port; cosy up to distant friends who own an apartment with a prized view; or take out a suite at hotels such as the Fairmont, which sits on top of the hair-raising tunnel and infamous hairpin bend. Yet taking to the water is the most glamorous option. Last year I could count fewer than 15 boats with a clear trackside view in the central Port Hercules, although it can hold many more boats. 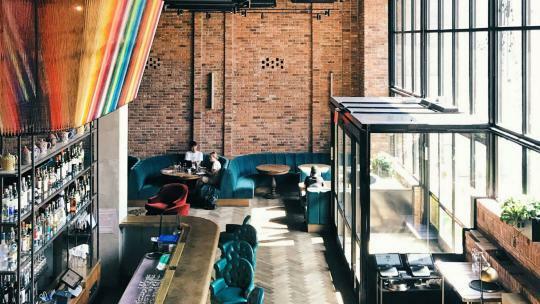 To snag a spot, you must either be able to justify a connection with Formula One or one of the race sponsors; be a local; or book through either, between the preceding June and February. For six days including the race weekend, a space for your own 30-34m yacht is €21,758 (about £19,000), up to €94,028 for a 70-80m (about £82,000); or €998,000 to rent a fully serviced vessel of the same size (about £872,000). 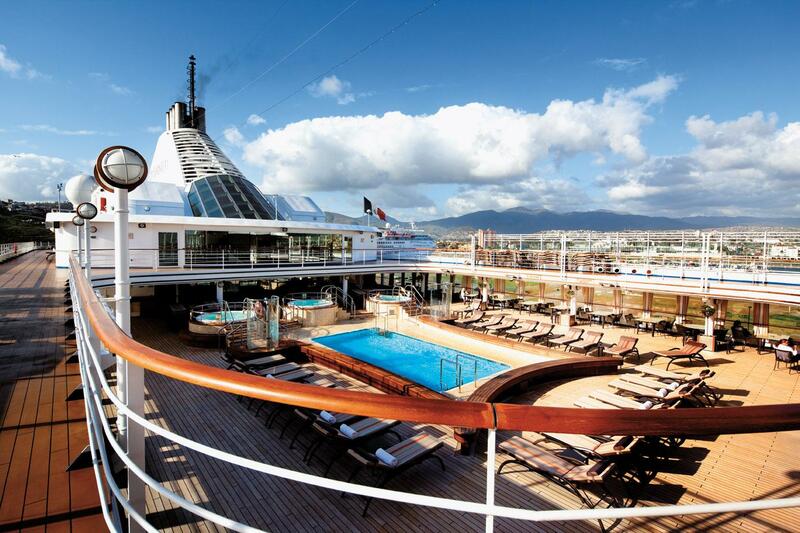 There is one way, however, to get the best of both worlds: a cruise. Only one or two cruise ships are allowed to drop anchor off Monte Carlo’s coast at any one time, just out of view of the race. 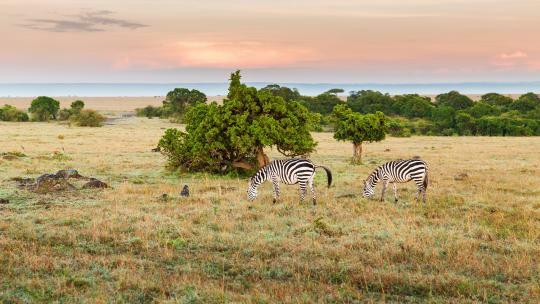 Of these, cruise line Silversea offers the ultimate in Formula One experiences – a 48-hour stop as part of a nine-day cruise from Barcelona to Civitavecchia (a port just north of Rome). For the duration of race weekend, Silversea takes over a building with a view of Port Hercules and the Sainte Devote corner. It’s a prime spot: the first bend on the circuit, which often causes startlingly close crashes that must be hoisted by cranes over the track barriers as the smell of burnt rubber fills the air. The building is sheltered and cool inside – crucial when faced with a 78-lap race in the midday sun – and right in the action for both the Saturday qualifying and Sunday race day. There are three-course lunches, TV screens for commentary and exclusive talks by former Formula One drivers and experts like Allan McNish. This location also allows a speedy getaway as soon as the national anthems have finished playing. The keen will want to walk 15 minutes to the dock for a tender back to ship, picking up scraps of tyre from the track as souvenirs and snaps of the finish line podiums; others will prefer an air-conditioned transfer to avoid crowds. 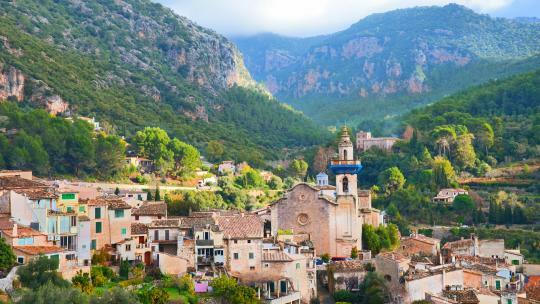 Silversea’s exact Mediterranean itinerary can vary from year to year (Ajaccio in Corsica might be swapped for Calvi, further north on the island, or Cannes for Saint-Tropez), but home base remains the fleet’s flagship vessel, Silver Muse. 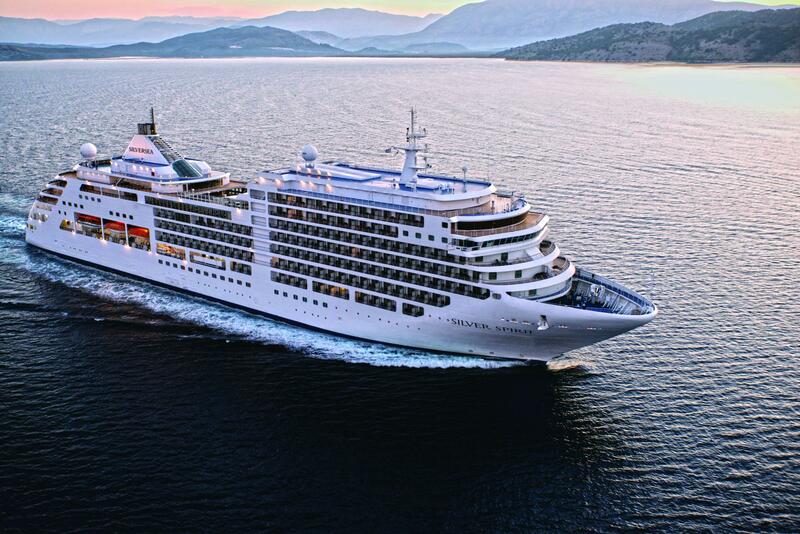 This smart ship has 411 crew members for its 596 guest capacity and nine types of chic suite with butler service. Most rooms have verandas, which make a thrilling spot to sit cautiously when the ship is on the move – especially in the dark of the night, when it gets up to speed and the wind noisily chops waves all around. During the day, there are organised excursions at each port, from sightseeing to cycling or wine tasting, else you can make your own way or relax in the ship’s pool and spa. If the eight onboard restaurants don’t seem quite enough, an extensive room service menu takes no step down in quality, unlike some of the best hotels on land. Love red wine? Your butler will notice and leave out some attractive bottles to sample in your cabin’s wine rack. Space might be at a premium on a cruise ship, but even in a 387 sq ft veranda suite Silversea manages a heated full bathroom, a walk-in wardrobe, two TV screens set into mirrors and a coffee table that butlers can neatly convert into a full-scale dining one. Those who sail with Silversea find themselves returning again and again (there’s a two-week voyage thrown in once you’ve reached 500 days, and another week-long trip for each 150 days thereafter). In Monte Carlo I met a gentleman who had racked up nearly 1,000 at sea. He had originally only taken the cruise to see Jenson Button’s last hurrah when he returned to drive in place of Fernando Alonso for McLaren. Now this Silversea veteran travels on the ship so often that a packed bag is kept onboard for him, ready for each return. In 2020, a 140-day around-the-world voyage will visit every continent (the Silver Whisper will be the first cruiser to do so), with 62 stops including Antarctica, Mumbai and Tahiti. 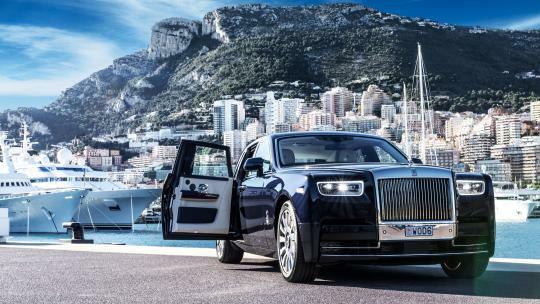 But for high-octane excitement closer to home, the Monaco Grand Prix is plenty for starters. When the calendar aligns, the Cannes Film Festival is the same week as the Grand Prix – and a stop here serves a different glamour. There won’t be much shopping to be achieved as fans flock in, but cruise the La Croisette promenade to get caught up in the atmosphere, dodging film students clamouring to get into screenings, and spy your ride home glistening on the horizon. Napoleon’s birthplace has little in the way of razzmatazz, but it’s ideal for a day’s relaxation. Walk along the shoreline or up to the grotto where Napoleon is said to have been hiding when his father told him he was off to military school. For something completely off-piste yet educational, visit Napo-rama: 18 scenes constructed from Playmobil, illustrating Napoleon’s life story. 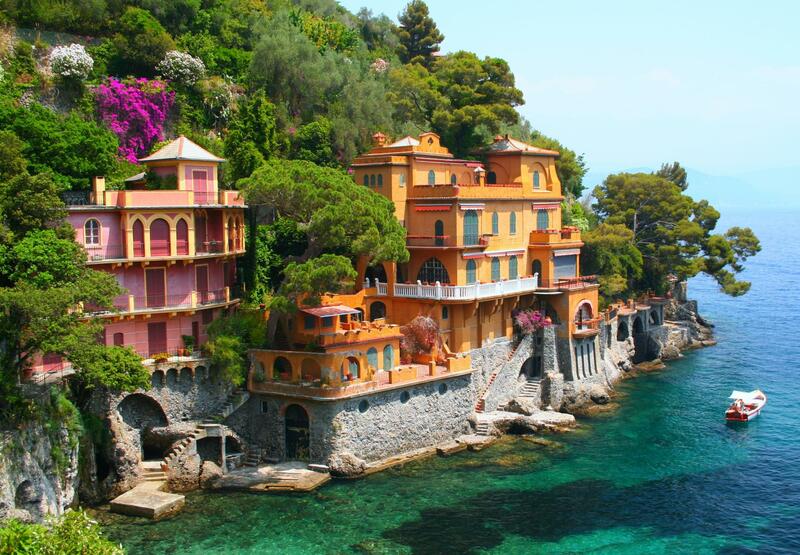 This fishing village with cobbled streets and brightly coloured houses is the Italian Riviera at its most picturesque. Don a wide-brimmed hat, indulge in something from Loro Piana or Salvatore Ferragamo, and hike up to the Abbey of San Fruttuoso..